Today I show off what’s on the stove for dinner. 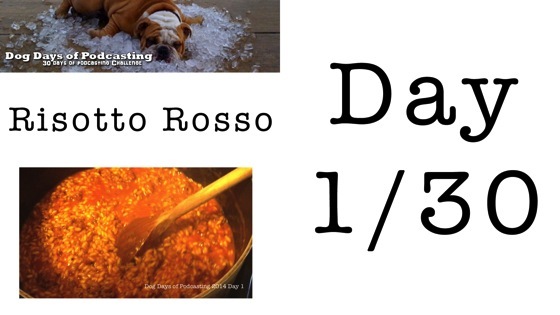 In this case, it is one of our Recipes in Rotation, Risotto Rosso, a tomato-based risotto with italian sausage. The original recipe for Risotto Rosso comes from the cookbook, Cucina Rustica by Viana La Place and Evan Kleiman. It is now available new in paperback from Amazon.com and others. 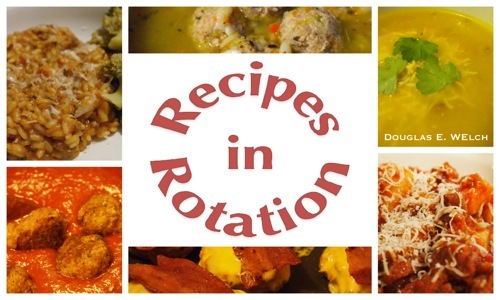 For all of or family Recipes in Rotation, check out this free cookbook, Recipes in Rotation, available via the web or for your iPad using the Cookbook Cafe app.